The former personal assistant to Goldman Sachs co-president David Solomon fled to Rome in November 2016, one day after privately admitting he took $1.2 million worth of rare wine from the executive’s collection. A federal court judge in Los Angeles on Wednesday denied Nicolas De-Meyer bail and called him a flight risk. De-Meyer, who had worked for Solomon from 2008 to 2016, had admitted to his boss he took the wine during a meeting with him and his wife at a Manhattan hotel that November, the day before he fled the U.S. He traveled in Italy, Brazil, Argentina, Switzerland and Morocco and was issued a 10-year visa in Brazil in 2016, according to FBI agent Elizabeth Rivas, who testified on Wednesday about De-Meyer’s arrest at Los Angeles International Airport on Tuesday night. The FBI tracked his movements using bank records and ATM withdrawals, she said. Solomon’s wife provided a sworn statement that she, her husband and De-Meyer met at the hotel in New York that November. During that meeting, De-Meyer admitted to taking the wine. They talked about possible prosecution, Rivas said Wednesday, and Solomon wouldn’t guarantee that the FBI would not be involved. De-Meyer was supposed to meet Solomon’s wife at a bank the next day to pay them back but he never showed up, instead fleeing the country, Rivas said. In a recorded phone call to Solomon’s wife after that day, he admitted again he took the wine and had left for Rome. The FBI agent says De-Meyer denied using a fake name, as he was accused of doing in an indictment unsealed Wednesday by federal prosecutors in Manhattan. The Los Angeles judge ordered De-Meyer to be detained and sent to the federal court in Manhattan, where he was charged by a grand jury. De-Meyer, 40, has no stable employment, the Los Angeles judge said in a hearing Wednesday afternoon, and there was a concern he would not show up in New York for court. De-Meyer took hundreds of bottles of wine from Solomon’s personal collection, including seven of a rare French Burgundy that Solomon had acquired for more than $133,000, the indictment said. As a member of Solomon’s household staff, one of De-Meyer’s jobs had been to receive wine shipments at the executive’s New York apartment and then to transfer wine from the New York residence to a property in the Hamptons. Instead, the grand jury indictment said, he used the fake name “Mark Miller” to sell stolen bottles to a North Carolina wine dealer. 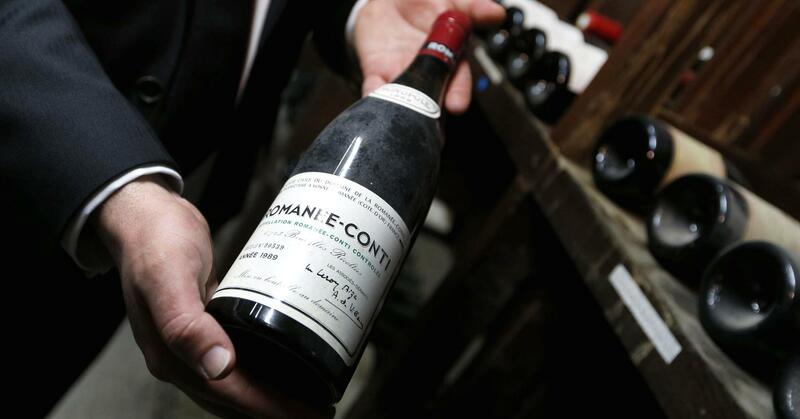 The discovery of missing bottles in the collection appears to coincide with the sale of Solomon’s New York apartment in November 2016 for $21.5 million. That apartment was described as having Central Park views and a 1,000-bottle wine storage area.